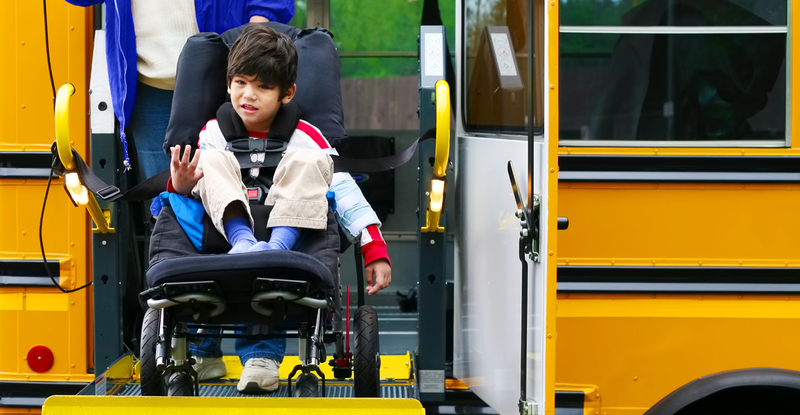 There’s no question that communities depend on the school bus. 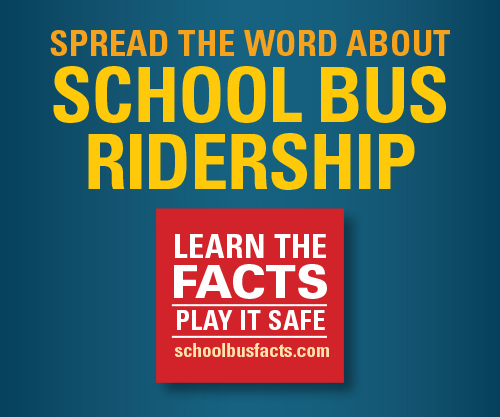 But school bus service is often at risk when budget cuts are considered. 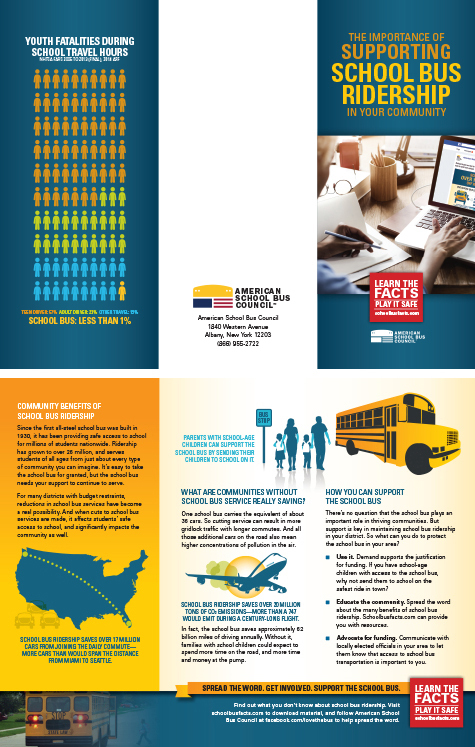 So what can you do to keep school bus ridership strong in your community? Support is key. 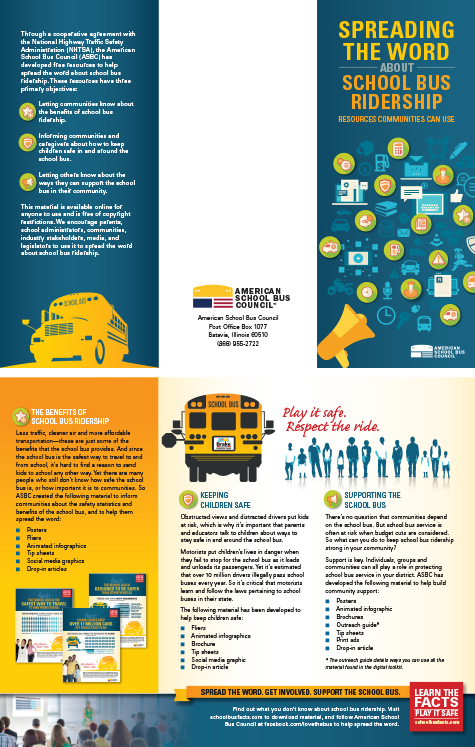 Individuals, groups and communities can all play a role in protecting school bus service in their district. 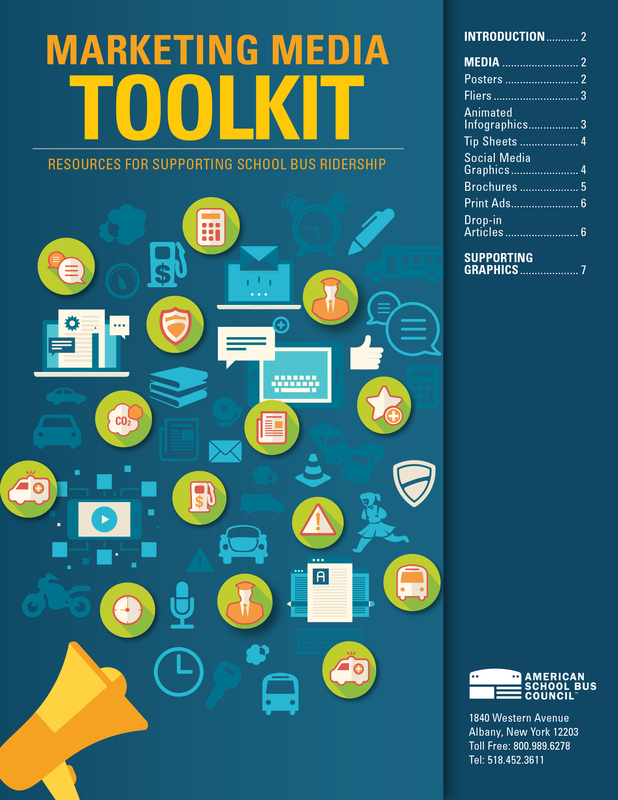 ASBC has developed resources to help build community support. 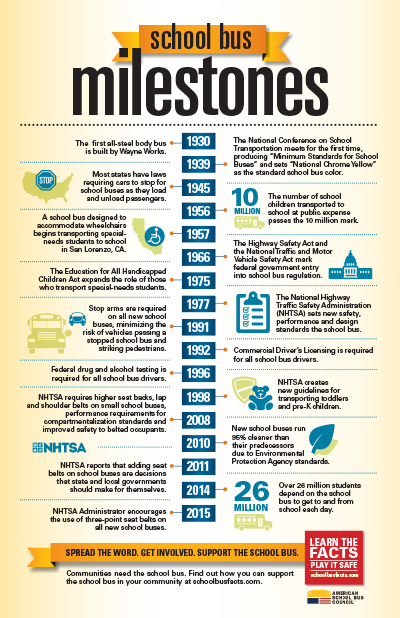 508-compliant, print-ready, 11 x 17 inch poster that details the evolution of the school bus. 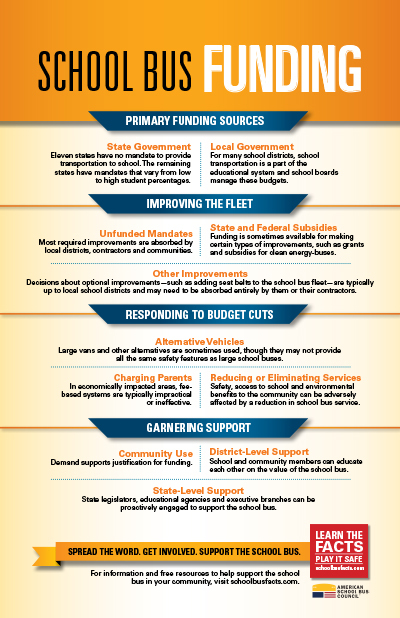 508-compliant, print-ready, 11 x 17 inch poster that breaks down the general landscape of school bus funding. 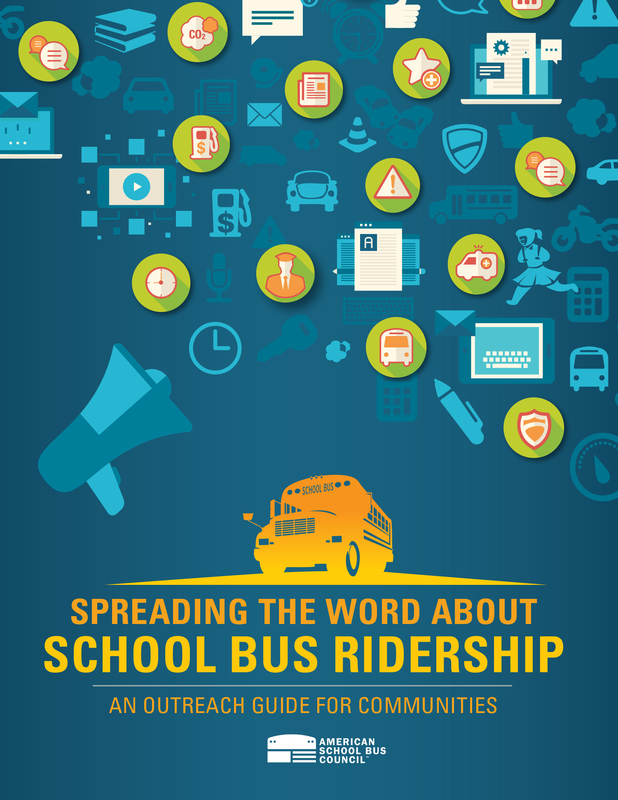 508-compliant, print-ready, 8 1/2 x 11 inch, 10-page guide about ways to spread the word about school bus ridership. 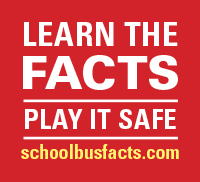 508-compliant, 8 1/2 x 11 inch, 9-page digital catalog of all the resources available to the public on schoolbusfacts.com. 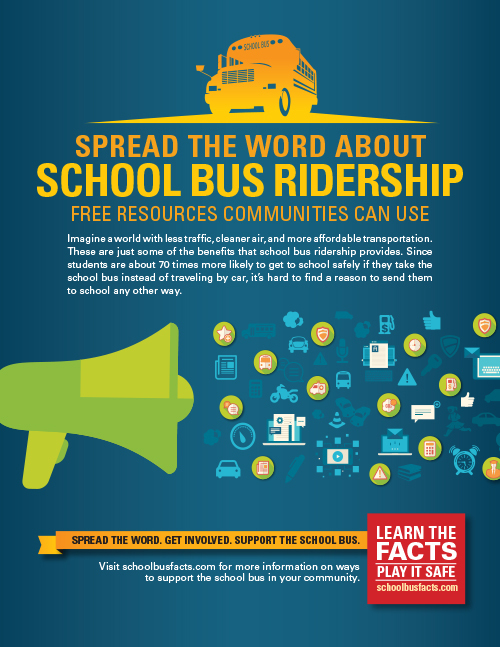 508-compliant, print-ready, 5 1/2 inch x 8 1/2 inch ad about material that is available to help spread the word about the school bus. 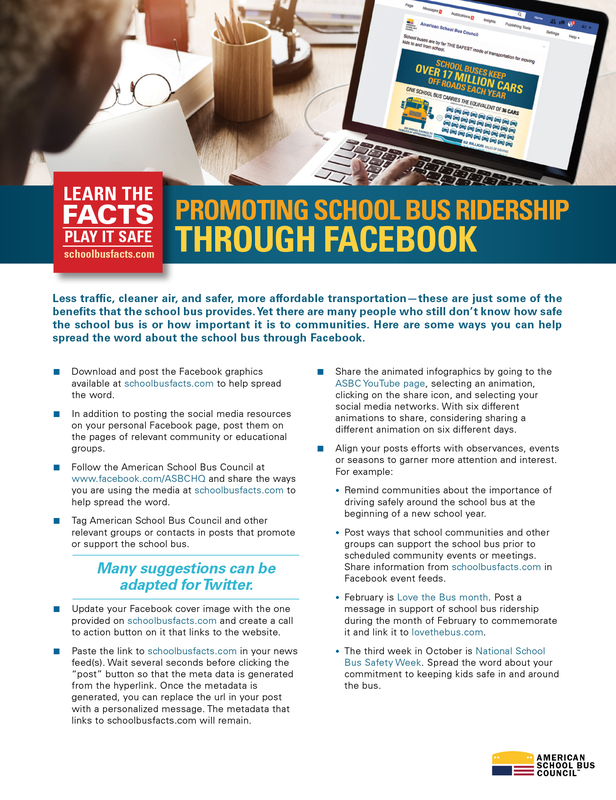 508-compliant, print-ready, 8 1/2 inch x 11 inch ad about material that is available to help spread the word about the school bus. 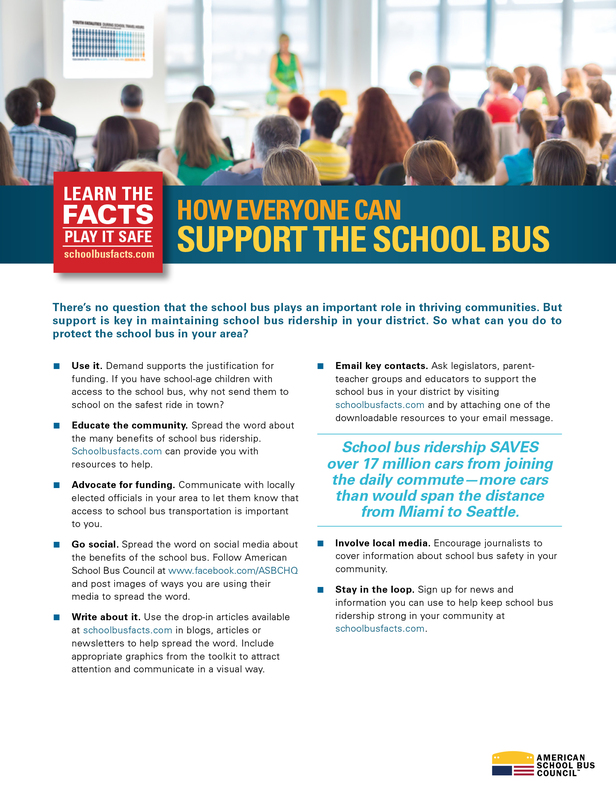 508-compliant, print-ready, 300 x 250 ratio ad (that can easily convert to a web-ready ad) about material that is available to help spread the word about the school bus. 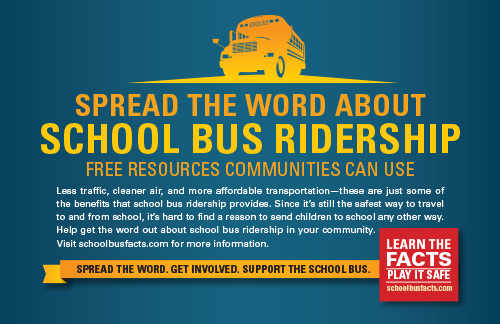 A drop-in article on ways everyone can support school bus ridership.